DO YOU REQUIRE A PARKING SPACE? 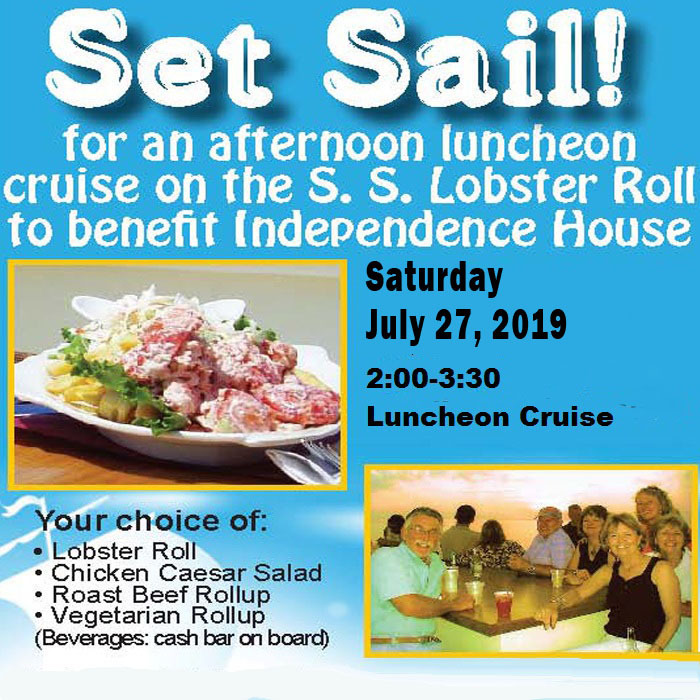 The Town of Dennis has provided parking spaces at Sesuit Harbor at a discounted rate for attendees of this lobster roll cruise fundraiser for Independence House. Please include the parking fee for each vehicle that requires a parking space. Your name will be made available for entry to the parking lot as a pre-paid guest for a 1:30pm arrival to Sesuit Harbor. The Harbor Master may impose normal parking rates of $10 if not pre-registered. No other parking is available in the Sesuit Harbor area.